Rugby is traditionally regarded as being a very competitive, highly professional sport in which players put their bodies on the line and put in some of the most bone-crunching hits you’ll ever see in their efforts to win. This article however plans to ignore all that and instead focus on the lighter side of the game, turning the spotlight towards some of the funniest rugby moments. 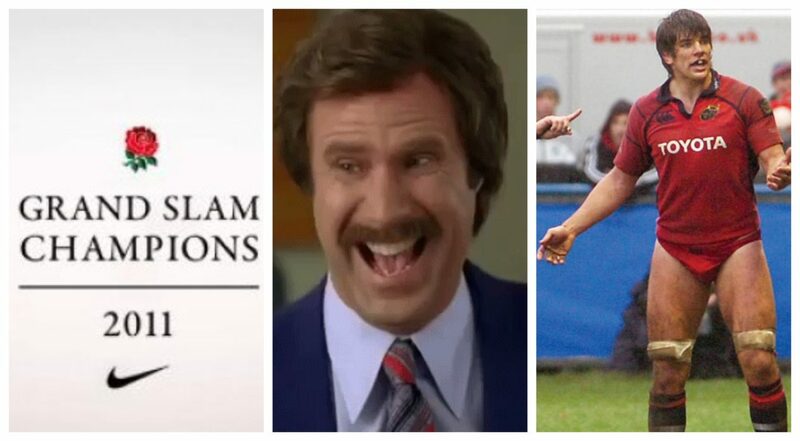 The videos within this article showcase five of the most comical moments in rugby history, ranging from kickoffs gone horribly wrong, to some classic examples of why you shouldn’t celebrate too early. We’ve all had that moment when we’ve been playing sport or performing some other form of physical activity and we’ve ripped our clothes. In this situation most of us would probably think to ourselves, “I better change into something else”. Indeed if you were a professional rugby player who had a spare change of kit just waiting for you in the dugout it seems the common sense approach to getting your shorts ripped would be to go and change them. Unfortunately, in the clip above common sense and Munster’s Donncha O’Callaghan don’t go hand in hand. Having had his shorts ripped during an earlier play, Donncha decided he no longer needed them and, having got rid of them, he attempted to play on wearing just his underwear. He then joins the Munster lineout much to the bemusement of his fellow teammates, whom he was expecting to lift him up to try and catch the ball. Thankfully before the lineout throw could be taken the French referee spotted Donncha’s skimpy red pants and correctly informed him, “You can’t play like this!” Perhaps the most priceless moment of the whole incident is Donncha’s confusion at being told this, suggesting that he thought his attire was perfectly suitable for the job at hand.